A large market has grown for eco-friendly inventions. Many inventors are therefore turning their skills to producing devices that benefit the environment. These devices replace existing equipment that causes pollution and help to reduce harmful emissions in innovative ways. To clarify what eco-friendly devices are, it’s worth looking at successful examples. SMK Corp, a Japanese firm, has developed a TV remote control that doesn’t use batteries. The user pulls a trigger on the side of the control. This generates enough power for the user to switch a TV on, change channels, increase volume, etc. Leeds University researchers have created a washing machine that is almost waterless. A full washing cycle requires no more that one cup of water. The computer maker, Asus, has made a laptop using recyclable materials. These include plastic and bamboo. Two graduate students have come up with an idea for eco-friendly home insulation and packaging. They grow the materials for both products. Everything about the insulation and packaging is natural. These are just a few of the many examples of eco-friendly inventions. What they have in common is that they have a positive impact on the environment. They involve recycling; address health and safety concerns; use renewable materials; and boost energy efficiency. The marketing executives who promote inventions are very keen on the green angle to a new product. An inventor doesn’t have to set out to invent something that is completely eco-friendly, although this is increasingly desirable. But what he or she should do is consider the green angle for any invention. A simple example is battery use. Used batteries can harm the environment. Old batteries in landfill leak chemicals that can pollute soil and water. So if an inventor has an idea for a new toy that requires a power source, he or she should “think green”. Is it possible, for example, to power the toy with a wind-up rather than battery-driven motor? Or perhaps the toy could have a solar panel on top, similar to that of a calculator, and use light to provide energy? Another example is the process of making a new invention. Can the inventor find a way, for instance, of manufacturing a product without causing environmental pollution or by at least reducing it? 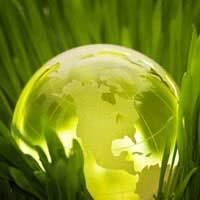 Many inventors have already led the way in producing eco-friendly ideas that have caught on. Solar heating is a popular option for homes and offices. Hybrid cars that use electricity and petrol are selling well. But what a lot of inventors are also doing is trying to improve on these basic concepts. Successful ideas such as solar panels and hybrid cars have shown that there are significant markets for eco-friendly devices. The next challenge is to make these devices cheaper, simpler and therefore more popular. In other words, market demand is driving the creation of affordable eco-friendly products. Inventors should pause to give this matter some thought. They may find it profitable to take time to consider ways in which they can meet this demand. Time Travel: An Inventor’s Fantasy?